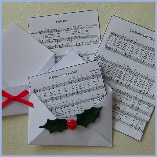 This is a set of little Christmas Carol music sheets with mini envelopes. This digital topper download is A4 in size and has three carols and two envelopes on the sheet. The carols are 'Jingle Bells, 'O Come all ye Faithful' and 'The Holly and the Ivy'. These will make sweet embellishments for Christmas cards. The music sheets are 6cm x 8.5cm and fold in half to fit into the envelopes. 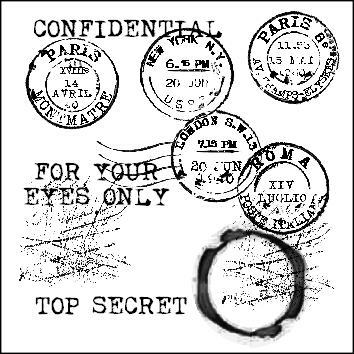 The envelopes have dotted line guides to fold in the flaps to create the envelopes.